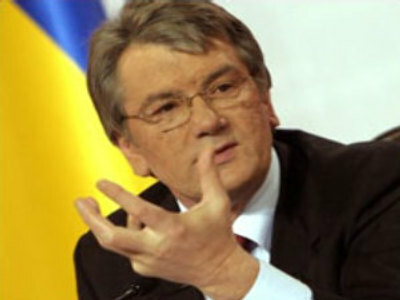 While President Yushchenko is still licking his wounds over the never-ending political games in Ukraine, an on-going investigation into his poisoning – if it indeed was a poisoning as he insists it was – has taken an unexpected turn. As part of the investigation, which has been going on for the past four years, the Ukrainian Prosecutor’s Office has called in for questioning two ex-Dinamo Kiev football players: Andrey Shevchenko and Kakha Kaladze, both of whom currently play for AC Milan. Their ex-team mate Andrey Gusin has already appeared at the Prosecutor’s Office and given testimony. Gusin himself is still puzzled as to the reasons behind his summoning. “It is all stupid, to my mind, but I can’t do anything about it. They asked me to come and I did. Evidently there’s no logic in the move. The Prosecutor’s Office seems to have gone off the rails,” said Gusin in an interview to Ukraine’s Kommersant newspaper. 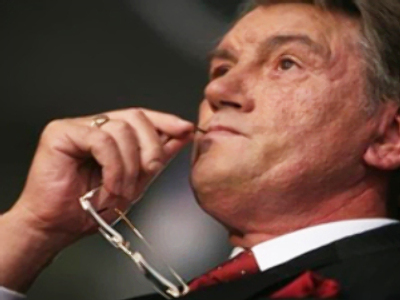 The Prosecutor’s Office, however, does see sense in questioning the players. All three of them have been linked to businessman Tamaz Tsintsabidze, who was present at a dinner at a country house of the former head of Ukraine’s security service Vladimir Satsyuk on September 5, 2004, which it is presumed was where and when the current Ukrainian president was poisoned. 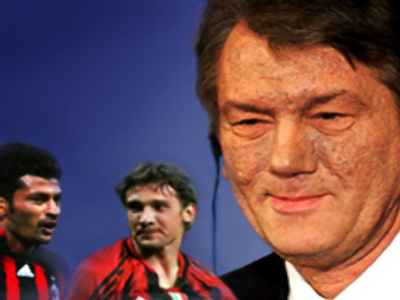 However, there’s little hope that football stars Shevchenko and Kaladze will do any better than Gusin in shedding any light on this complicated story.